This Wall Photo Frame is an Affordable Option! These Displays Ship the Same Day if Ordered Before 1 PM EST! 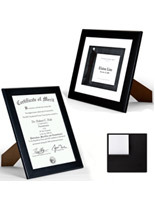 This Wall Photo Frame Features an Attractive Black Flat Profile! 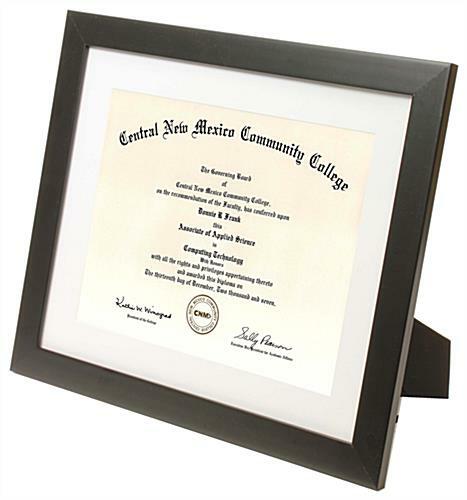 Removable matting allows holder to display 8-1/2" x 11" or 11" x 14" prints. Easel backer allows display to sit on countertops horizontally or vertically. Black plastic matte finish and etched design nicely meshes with any decor. 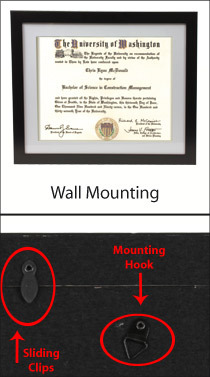 Wall mounting clips allow pictures to hang in landscape or portrait format. Glass lens protects prints from damage. 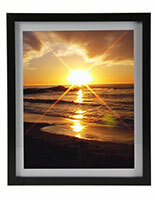 This wall photo frame is for 8-1/2" x 11" prints. These displays will nicely accent any print. With an easel backer, this wall photo frame that is matted can sit on any countertop either horizontally or vertically. There are also hanging clips for this picture holder to be hung on any surface. 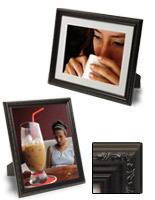 This wall photo frame that is 8-1/2" x 11" makes a fantastic gift. 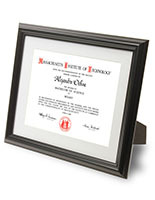 Give this picture holder as an anniversary or birthday present to share special memories. Each wall photo frame has a glass lens to protect prints from damage. 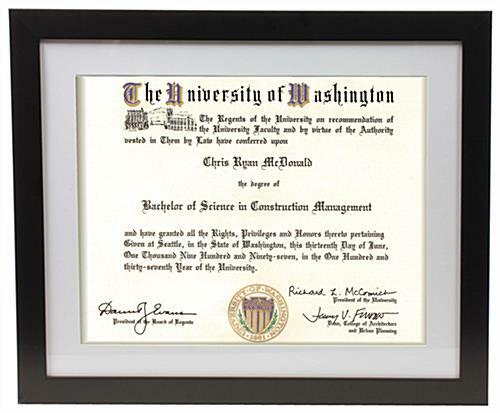 This display has a protective glass lens to protect prints from damage. 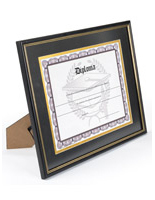 This picture display, wall photo frame can also showcase 11" x 14" prints as well! With the matte black finish and easel backer it is easy for this display to mesh with any décor. Each wall photo frame that has a contemporary design is less likely to get scratches and dings because of the plastic material. The black matte finish is a neutral tone that will blend in to any décor. 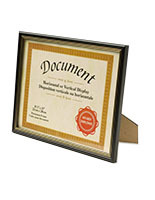 This wall photo frame is an excellent addition to any signage collection. Check out similar styles including wood, plastic and metal to mesh with any décor. Buy this modern wall photo frame before 1 PM EST and it will ship the same day.